We advance the Health Rosetta, the blueprint for high-performance benefits built to accomplish three goals. Organizations that implement Health Rosetta style benefits sustainably outperform the status quo. Keep people healthier and safer. Things like no deductibles on major procedures and unlimited, free primary care. Improve the experience and increase satisfaction for patients, caregivers, families, clinicians, and others. Why the Health Rosetta is unique. View a TEDx talk about it in action. No theory. We've sourced it from the highest performing benefits purchasers. It's built on their successes, letting others stand on the shoulders of giants. It's built from flexible components that fit all types of needs and can be implemented over time. We're building an ecosystem to simplify the journey with access to best practices, certified third parties, and other resources to support everything from change management to measuring success. Start down the path to 20-40% lower costs & better benefits, whether you have 100 or 100,000 employees. We help mission-aligned groups and people learn, connect, advance goals, and replicate healthcare's fixes. We help benefits advisors stand out through transparency, expertise, and aligned incentives. News, case studies, tips, and data on Health Rosetta style benefits and our mission to replicate healthcare's fixes. Each is a way to get involved or spread the word. We're building certifications that borrow from LEED and Fair Trade to accelerate adoption of Health Rosetta style benefits and a new health ecosystem. The first is the Health Rosetta Certified Benefits Advisor. Over time, we'll certify people, products, services, and places, such as benefits professionals and health plan components. Change is happening everywhere. We collect success stories to surface approaches that help employers drive change. The benefits world has weak track record at accurately measuring cost savings and outcome improvements. Part of our mission is to fix this through quantifying success stories, creating benchmarks, and advancing standards that will help create predictable, repeatable costs and outcomes. We're working on a number of media projects to drive awareness and adoption of Health Rosetta style benefits. 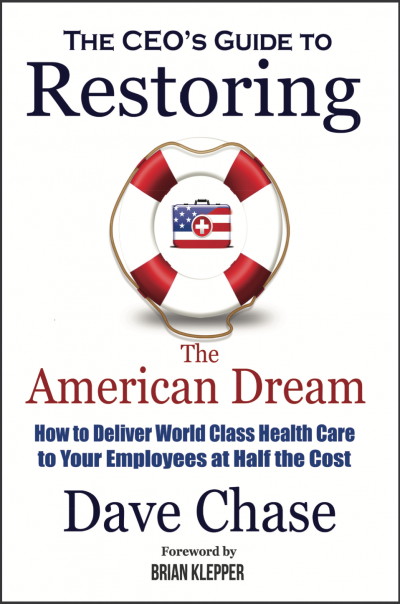 A field guide for purchasers to take control of benefits spending: CEO's Guide to Restoring the American Dream: How to deliver world class healthcare to your employees at half the cost. A Citizen Leader’s Guide to Restoring the American Dream: Rebuilding Hope, Health, & Well-being in Our Communities : The Opioid Crisis Wake-Up Call: Health Care is Stealing the American Dream. Here’s How We Take it Back..
© 2017 Health Rosetta. All Rights Reserved. Healthcare is already fixed. Join us to replicate the fixes. Learn how the Health Rosetta helps employers spend less and get more from health care spending—benefiting patients, clinicians, communities, the economy, and our country.